We are very proud to introduce this fantastic Krystle Pendant Light. 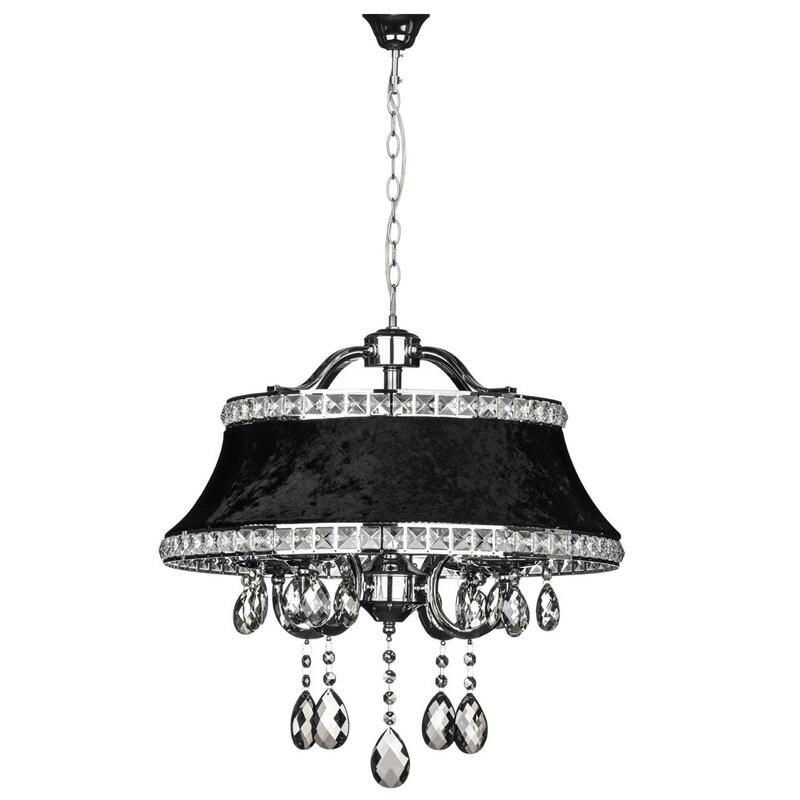 This pendant light is created from a beautiful combination of Chrome, Crystal and Metal which perfectly combines an elegant and modern design. This unique design is complemented by a stunning silver and black colour with combine to enhance the contemporary yet elegant style.